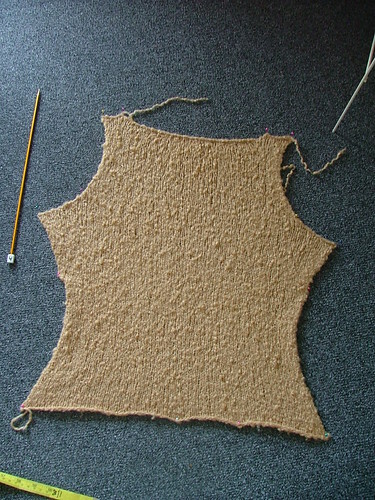 In knitting knews projects are coming along nicely! 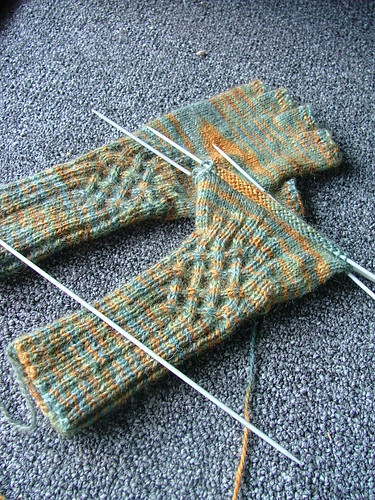 The gloves are progressing nicely despite a bit of a hiccup. Surprise! I have a back completed! Now to cast on for the front! I managed to get myself in to the local knitting shop and bought replacement needles for the one I broke so I can get back to my Rogue sweater; as yet it hasn't been worked on more since last update though. 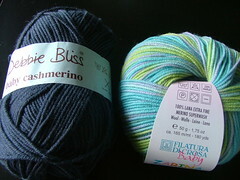 Oh, while I was there I also caved and bought some more yarn. 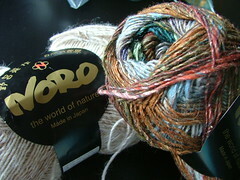 God Noro is so damn addictive. That's two skeins of their Silk Garden Sock yarn. Heaven! P.S. Just a heads up, starting tomorrow I'm pulling the plug on my internet connection for one week; a self imposed exile if you will. I need to seriously buckle down and get some work done and I'm hoping by removing this big distraction, things will progress faster.